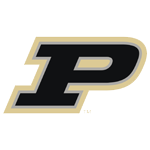 Continuing the conversation with the kid who grew from being a teased, insecure, unpromising freshman at Purdue to the Big Ten’s basketball MVP and NBA player. His college career ended with physical and emotional pain, but overall he made for one of the greatest success stories in the history of Big Ten basketball. He’s had the last laugh.